Two years after Portugal’s greatest football triumph at Euro 2016, the country added another European title, this time at U19 level, beating Italy 4-3 in the final in Seinäjoki, Finland on Sunday. It was their first Euro title at U19 level since the format was changed in 2001. Portugal lost in the final in 2003, 2014 and just last year to England. Pedro Correia’s 109th minute goal came seconds after Italy had tied the match 3-3. Remarkably, it came at the exact moment of the match as Éder’s Euro 2016-winning goal in Paris. PortuGoal looks back at two unforgettable weeks in Finland. Portugal arrived in Finland as one of the pre-tournament favourites. The country had won the U17 Euro two years ago, with many of the core players of that championship-winning side returning this time around. Hélio Sousa’s side certainly looked the part in the opener, beating Norway 3-1. The second group stage match against Italy did not go so well. Captain Diogo Queirós received a straight red just less than 10 minutes into the match. To their credit, the players did not hang their heads despite their numerical disadvantage, however, they still came out on the losing end 3-2. But, they would have the last laugh. Portugal had three points through two matches and were facing the tournament hosts Finland, probably needing a win to advance to the semi-final. Goals by João Filipe and José Gomes had them leading 2-0 at the half, with Mesaque Dju adding a third before the final whistle to come out 3-0 winners. Group B winners Ukraine awaited them in the semi-finals. Portugal made quick work of their opponents, scoring five times before the half-hour mark and holding on the rest of the way to a 5-0 victory. That set up an intriguing final match against their opponents in the group stage Italy. Portugal had impressed with their attacking brand of football, while Italy had characteristically conceded the fewest goals to that point in the tournament. But no one could predict what was in store. After a positive start, Portugal found a breakthrough just before halftime when Trincão found João Filipe in the box, who made no mistake. Portugal went into the dressing room with a slender lead. When Trincão scored in the 72nd minute it looked as if Portugal were well-placed to lift the trophy but things were about to take a turn. Moments later, Moise Kean cut the lead to one and followed it up with another just seconds after that to level the score. But the Portuguese players continued to push forward in the final moments of normal time and in extra time. In the 104th minute, João Filipe looked to have won the match with a right-footed strike. The young winger and the Portuguese bench celebrated like they had won the title, but it would be premature. Italy again struck back, with a Gianluca Scamacca header. Seconds after that, Pedro Correia got on the end of a ball from João Filipe and found space to put one passed Alessandro Plizzari to give Portugal a 4-3 lead and finally the title. It was an incredible sequence of events, with three goals in five minutes in extra time. Francisco Trincão and João Filipe will receive much of the accolades, finishing the tournament as joint-top scorers. 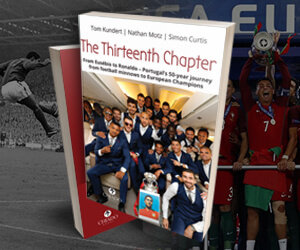 But, Portugal’s victory was proof that teams win championships not necessarily individuals. Hélio Sousa elicited the full strength of his squad and was rewarded handsomely. When Queirós was sent off in the group stage, David Carmo came in and provided stability at the centre of defence alongside another unsung hero Romain Correia. Carmo would keep Queirós on the bench for the rest of the tournament. After José Gomes was forced to miss the semi-final with a head injury, Pedro Correia came in and scored just moments into the match setting the stage for Portugal’s thumping of Ukraine. Not to mention, João Virgínia and Nuno Henriques replacing Diogo Costa and Miguel Luis in the final both on relatively short notice. 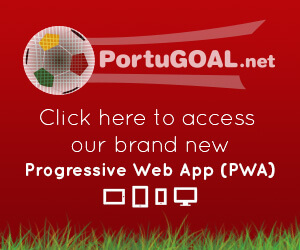 Portugal led the tournament in most offensive categories including goals, scoring an impressive 17 in five matches for an average of more than three a match. That was well ahead of France in second, with 11. Portugal also led the tournament in total attempts (84) and attempts on target (43). This tournament was full of exciting twists and turns, which culminated in a memorable finale. The senior team’s performance in Russia earlier this month may have left many people disappointed, but the U19 Euro victory suggests that Portugal has plenty to look forward to. The Portugal U19 manager had an unremarkable playing career but has found a calling nurturing the country’s most promising talent. Sousa had nothing but praise for his players and staff after the final. “It’s difficult to describe. I want to thank everyone. We put together a solid squad. We built a strong identity. They deserve it. It’s a unique moment. We are honoured to have represented Portugal,” he said. Like every title-winning squad, Portugal U19 could credit many strong individual performances on their way to success. But, we picked out five that perhaps shined the brightest. The Wolverhampton left-back was terrific all tournament charging down the flank, providing countless crosses for his teammates. He looks like a carbon copy of Fábio Coentrão and Raphaël Guerreiro. If Vinagre could get some minutes in the Premier League this season, we could see him in the senior side soon. The defensive midfielder was the spine of this Portuguese side. While, he will not win any points for style, the Benfica youngster supported the backline and began many of the attacks from deep. Easily noticeable by his bleached hair, Florentino was perhaps the most important player in this championship-winning side. The West Ham midfielder formed an excellent partnership with Miguel Luis, providing service to João Filipe and Trincão. Quina also scored one of the goals of the tournament in the group stage match against Italy. His performances have not gone unnoticed, with Barcelona reportedly interested in signing him. The Braga winger got Portugal off on the right foot in their opening match against Norway, scoring twice. He and João Filipe combined several times throughout the tournament including twice in the final. In addition to his five goals, he added three assists. Further proof that the number seven is lucky for Portugal. It seems so long ago, but the winger was somewhat ordinary in the first two group stage matches. 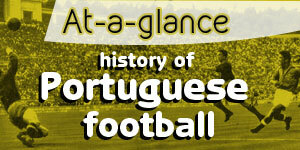 Then, he got Portugal rolling against Finland and set up goals by Gomes and Mesaque Dju. And he was simply spectacular in the semi-final and final. Benfica would be foolish to let him escape after this performance. Am off to see Wolverhampton Wanderers this weekend to check out the Portuguese talent they are stockpiling. Looking forward to seeing Neves in action. Nick, please let us know how it went. I would love to hear this and I think most Portugoalers would as well. I visited Wolverhampton Wanderers on Saturday 4th August to watch the Portuguese players and see how they were getting on. I saw one Portugal shirt – besides the FC Porto one I was wearing – whilst the majority of Wolves shirts had “8 Neves” on the back. It was a good game overall with Diogo Jota being the eye-catcher in the second half. Helder Costa looks raw and a little unsure of what he’s supposed to be doing or maybe he lacks the confidence to do it. Diogo Jota was intermittently effective in the first half out-wide but once he moved centrally to support the striker he was more involved and caused all kind of problems for VR. Class act. Willy Bolly had an invisible first half but a much better second one. Moutinho did what he does but I wonder how he’ll cope with the faster pace of the Prem once the season starts. Him and Neves seem to have an understanding already however I fear he’ll be caught in possession a lot unless Nuno can find a way to create space for him. A high press by teams such as Liverpool will cause him problems. Rui Patricio didn’t really have a chance with the VR goal but otherwise was up to his usual standards. Quality. Reuben Neves showed signs of his talent but disappeared for the middle third of the match mainly passing sideways or backwards. Still, with Jota he’s obviously their best player. The PA there is awful so no idea about the subs! Yes, it was only a friendly (and I have to admit I don’t much like or rate him) but Nuno’s weaknesses were on display here – no support for the number 9 which meant there was a yawning central gap between him and midfield. Slow turgid football at times with not enough movement from the front players - the attackers were often all flat alongside the defenders, no-one running beyond or breaking the lines. With the RB continuously being so high up the field they were vulnerable to the quick cross-field pass into his deserted space which meant the VR number 9 was pulling the CB’s all over the place in the first half creating room for their attackers. Much seemed to be expected of the RB but he wasn’t provided with many options or movement when in positions to cross or pass. Moving Jota centrally in the second half allowed them to attack with more purpose and you’d think with the passing ability of Neves/Moutinho they’d be looking to release him quicker. Hard to tell if Jota becoming more effective was due to VR making subs/Moutinho going off of a tactical change but he was the danger-man. The standard of the Prem below the top 6 is pretty poor so they’ll have as good a chance as anyone in staying up. The fans love Neves/Jota and Nuno so it’ll be interesting to see how they are after a few losses. And to think that there were 4-5 players missing because they are playing with first team so far this preseason. These are all starters for the u19...so what u saw in tournament would be coming off the bench. Mike - you forgot the best one of all.....Dalot.